Don’t waste another minute searching for your valuable assets! Managing your organization’s valuable assets can be simple and efficient, but many Small Businesses still manually track these assets which create accountability problems, can lead to poor records management and unnecessary asset expenses. 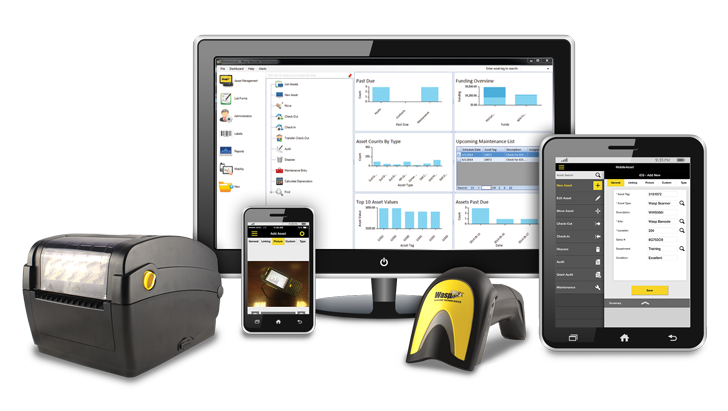 Easily track valuable organizational and IT assets, including computers, phones, furniture, medical equipment, tools, and vehicles with the Wasp MobileAsset Solution. By allowing you to instantly locate any asset, can eliminate wasted time spent looking for lost or missing assets and reduces additional cost of replacing equipment. Looking for a more efficient way to track your company’s valuable assets?